The leading certification program for end-to-end supply chain, logistics and operations management is back and better than ever. On April 10, we will open our first SCPro™ Level 1 exam testing window. The exam has been refreshed by industry leading academics and reflects the most current industry information. Visit https://www.naylornetwork.com/cscm-nwl/articles/index.asp?aid=431998&issueID=57960 to view the full article online. "I chose CSCMP’s SCPro™ Certification because it is the most comprehensive supply chain certification available. I feel it best represents the full-spectrum supply chain career I have had and the knowledge I bring to my professional endeavors." Visit https://www.naylornetwork.com/cscm-nwl/articles/index.asp?aid=432043&issueID=57960 to view the full article online. Join Rick Blasgen, President and CEO of CSCMP, and Robert Martichenko, CEO of LeanCor Supply Chain Group, for a free, one-hour webinar discussing how today’s companies are advancing supply chain performance to create the connected enterprise and discover hidden profit. Based on the newly released book, "Discovering Hidden Profit," this webinar will detail a thoughtful and actionable methodology to extract hidden profit by removing organizational masks and connecting people and business processes in order to maximize customer value at the lowest possible total cost. Visit http://info.leancor.com/webinar-creating-the-connected-enterprise-advanced-supply-chain-centric-decision-making-cscmp?utm_campaign=Discovering%20Hidden%20Profit%20Book%20Launch&utm_source=hs_email&utm_medium=email&utm_content=2&_hsenc=p2ANqtz-9jtDeoMJIAcD to view the full article online. Attend the premier end-to-end supply chain conference: CSCMP EDGE. 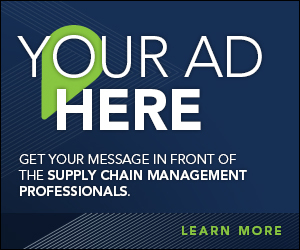 For more than 50 years, the Council of Supply Chain Management Professionals (CSCMP) has been delivering the must-attend supply chain event of the year – CSCMP's Annual Conference. As part of the ongoing evolution of CSCMP and the supply chain industry, we are thrilled to announce the launch of our new conference branding, CSCMP EDGE. Visit https://www.naylornetwork.com/cscm-nwl/articles/index.asp?aid=431924&issueID=57960 to view the full article online. What's Your Career Worth to You? A CSCMP professional membership costs less than $1 a day. Join us today, and find out what the most powerful network in supply chain can do for you. What does a CSCMP membership get you? Visit https://www.naylornetwork.com/cscm-nwl/articles/index.asp?aid=431925&issueID=57960 to view the full article online. "CSCMP allows me to connect with senior level executives and other young professionals from all around the world. These interactions have not only helped me to expand my professional network; they have also helped me develop my career and leadership within the Supply Chain Industry." 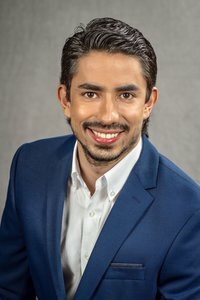 Rafael Vasquez | Managing Director, Latin America, LLamasoft, Inc.
Visit https://www.naylornetwork.com/cscm-nwl/articles/index.asp?aid=431926&issueID=57960 to view the full article online. A CSCMP Supply Chain & Logistics Program developed to provide comprehensive foundational knowledge for supply chain and logistics professionals. Beginning with a comprehensive assessment based on the eight learning blocks of end-to-end supply chain, each professional receives an individual score reflecting his or her level of knowledge within each development track. Once individual opportunities for learning have been identified, SCPro™ Fundamentals delivers a customized learning program for each professional. Visit https://www.naylornetwork.com/cscm-nwl/articles/index.asp?aid=431999&issueID=57960 to view the full article online. CSCMP launched the new Career Center in November of 2016, and we’ve added new features for recruiters and job seekers. Career centers are the No. 1 visited page on any association website with people looking for highly qualified individuals or to simply find their next career milestone and using the tools provided on these sites. Since our launch, we’ve added 700 new job seeker resumes and more than 75 active jobs. Visit https://www.naylornetwork.com/cscm-nwl/articles/index.asp?aid=431918&issueID=57960 to view the full article online. 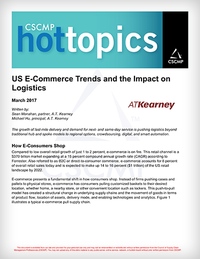 Hot Topics – A.T. Kearney Just Released! This issue of Hot Topics focuses on how the growth of last-mile delivery and demand for next- and same-day service is pushing logistics beyond traditional hub and spoke models to regional options, crowdsourcing, digital and smart automation. Visit https://cscmp.org/imis0/ItemDetail?iProductCode=HT17-ECOMM-PDF&Category=HT&WebsiteKey=0b3f453d-bd90-4121-83cf-172a90b226a9 to view the full article online. Across the U.S. and around the globe – CSCMP has a roundtable in your area, whether you’re at home or on the road. 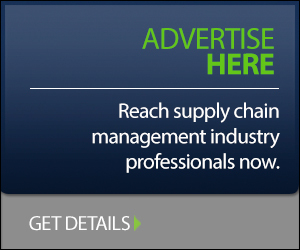 CSCMP roundtables are run by a volunteer network of supply chain professionals just like you. Take advantage of networking opportunities. Go on exclusive facility tours, make connections and chose business in your local market. Visit https://www.naylornetwork.com/cscm-nwl/articles/index.asp?aid=431959&issueID=57960 to view the full article online.